Gorgeous card!!! I love the addition of the lace. Love the card and wish I had room to purchase Stamp Storage items for a craft room, hopefully in future I will be able to makeover a bedroom for that purpose. Love, Love, Love your card, that color combo is awesome!…Also love your Stamp-n-Store items, have to agree, they are a must in every craft room. What a pretty card. It’s so different to have a black and cream theme and I really think it’s pretty – and elegant as you said. Your card is gorgeous! 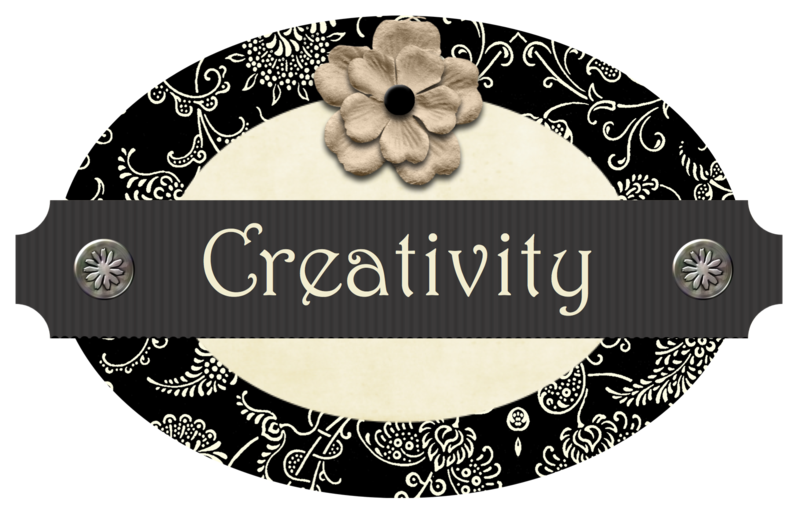 I wish I could have a dedicated space for all of my sewing, quilting and paper crafting projects. Your studio is fabulous. Your card is beautiful. It would be great for a spring wedding. 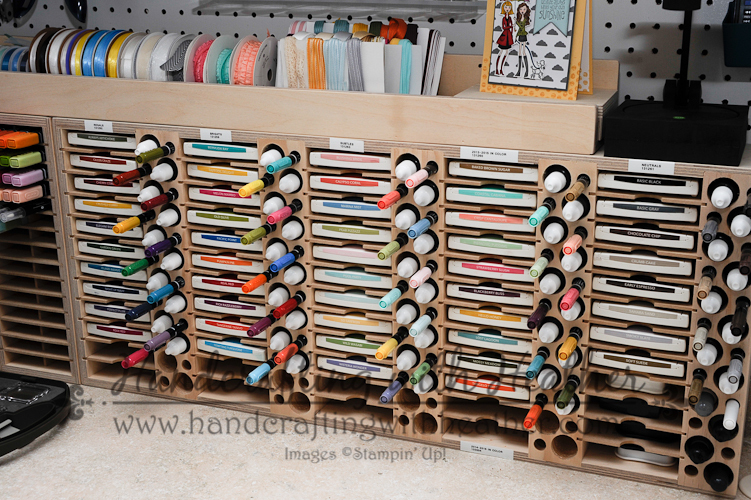 Love the pictures of your organized craft room. My favorite Stampin Up spring item would be the butterfly thinlets. I love the new sheltering tree set–I think that will be my spring pick! Your card is so elegant. Love it. My favorite Spring stamp set is Butterfly Basics. I would say you have a beautiful card on display. My favorite is Sheltering Tree. I have more fun with this stamp and always try new tings with it. It is just a fun stamp. I’m all for fun!! I love the elegance of your card. Just beautiful! 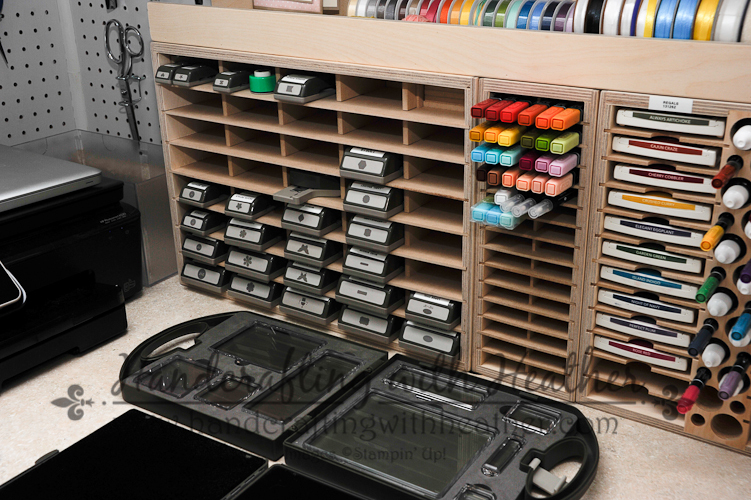 What awesome storage to have the ink pads and markers next to each other. I am using the new Lotus Blossom a lot this spring. My favorite spring item is the stamp set Sheltering Tree. The font and versatility of this set is amazing. Your card is so elegant. Black and white or cream is a classic. Thanks for sharing. 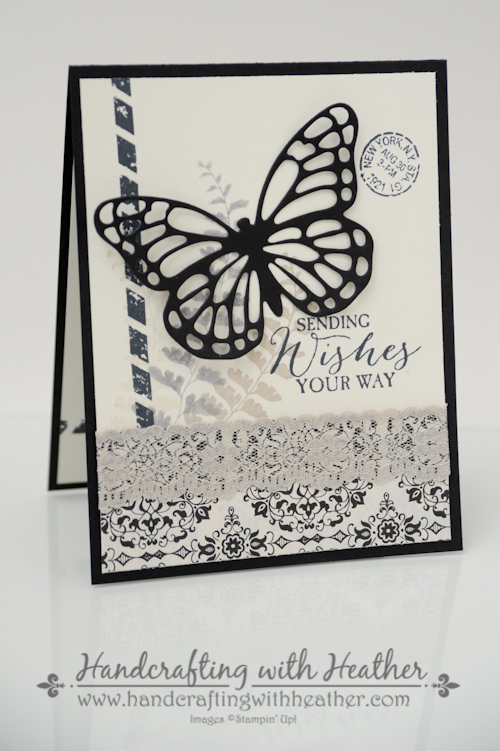 Thanks for sharing the lovely card using the butterfly thinlits… I have used and used this die! It makes for such an elegant presentation… And I make butterflies ahead of time, just to have them handy and ready to add to so many projects! As you might guess, this is my fav spring item. Thanks for a chance to win! Best wishes to all of the participants! 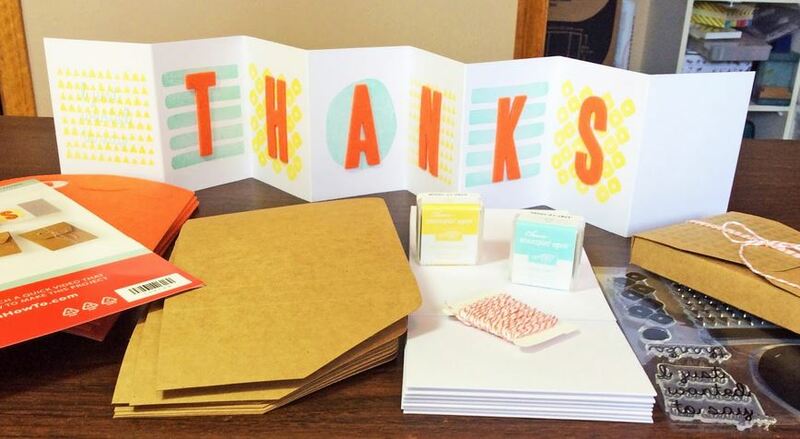 Love the way you combined various elements to create such a sophisticated card. My favorite spring product is the butterfly thinlit. My favorite item for spring is the Painted Petals stamp set! Makes me think spring! The Butterfly Dies are also way cool! My favorite spring item is Butterfly basics with the Lotus Blossom right behind. I envy your storage area. Won’t it be nice if we could all have the storage space we need? I really like the butterfly thinllets with the butterfly stamp set. Your craft room is wonderful. Your card is so elegant. It is my favorite stamp set this spring but the funny thing is, I have not even used it yet. After seeing your card, I think I will get it out tomorrow. Stunning card Heather! I love neutral color schemes, I think they are so elegant. I am currently in love with the butterfly basics bundle. My favorite spring thing is the butterfly basics and dies. They do make some beautiful cards. Beautiful card, Heather. That Butterfly Basics set is a very versatile one, isn’t it? Thank you for the card as well as the great storage ideas. 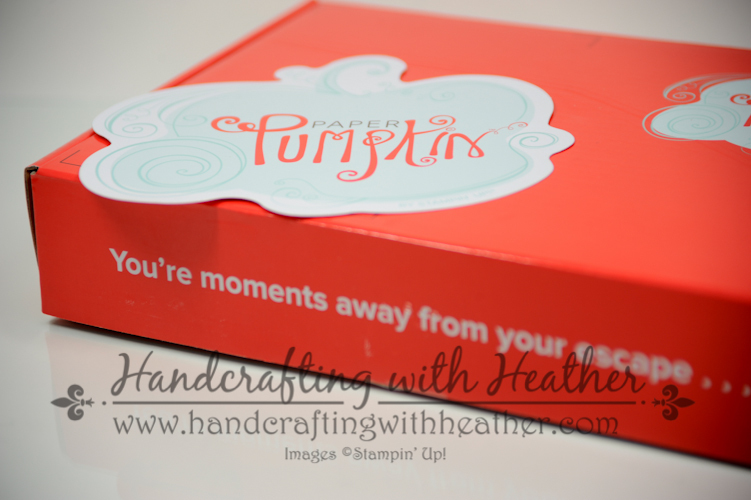 Time for some spring cleaning, I think…but, stamping first, of course! Love the butterfly framelit. so versatile. 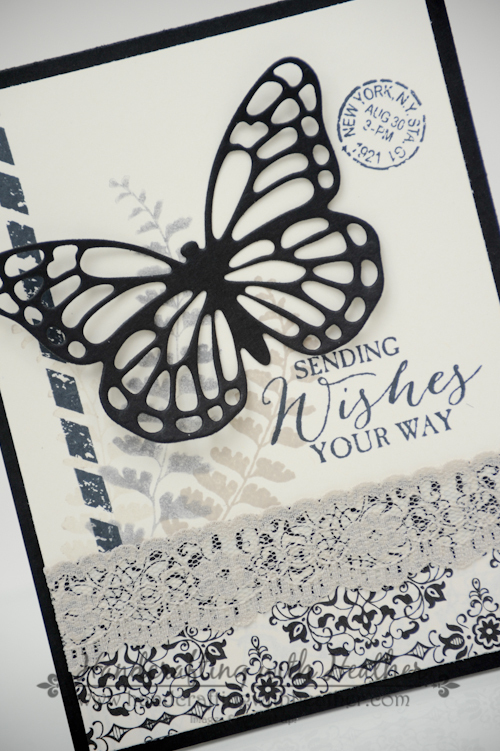 My favorite Stampin’ Up product in the Occasions Catalog is the Butterflies Thinlits die. I’m envious of your craft room especially the multi-level work areas. Love the card – have the framelits but have not used them yet. Also the storage ideas are awesome! i have yet to use my favorite pick for Spring, but i purchased the (not at home for the name) bird and lemon set. i love both images and so happy SU released these designs during SAB. your card is so lovely, i love the elegance of the vanilla and black as well. Your card looks so elegant! Very nice! I love that set and thinlits die, getting the darn butterfly out is a job in itself! I am trying that dryer sheet technique one of my customers told me about…seems to help. I really really do like the Lotus flower set from SAB though. Beautiful, elegant card. Loving this set and so many ways and occasions for using it. Liking the Irresistibly Yours DSP and the Vellum. Thanks for sharing and enjoy your week-end. Did I miss the blog candy announcement? I keep looking but I can’t seem to find it so I wondered if I am looking in the wrong place? You didn’t miss it. I just didn’t get my act together last week and forgot about the drawing. Sorry. I have updated the site today and announced the winner. Wow I love the flower on your card. It relaly pops. Great idea on using so many EF. I will have to give this a try. Thanks again for all your ideas you so freely share. Also I just love the new catalog. I am already making my wish list.